I’d like to say that I’ve always been the picture of punctuality. 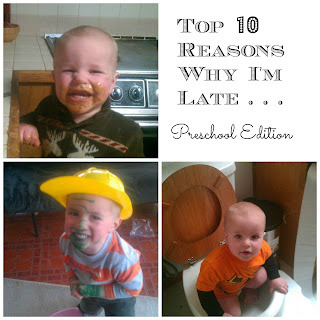 The truth is, I’ve been running late since birth. I’ve raced to beat tardy bells. I’ve sprinted across campus to make it to an 8 AM class (one time I even showed up with my shirt on inside out . . . but that’s another story). Most times I made it with only a few seconds to spare, but I usually made it. Then, I had children, and I was never on time again . . . or at least that’s how it seems most days. 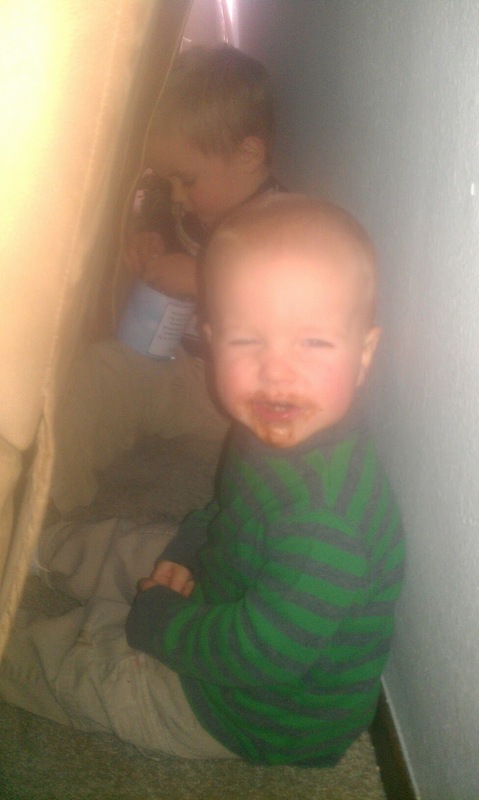 I swear, some days it feels like they hold secret meetings to conspire ways to make us late. Ben: “Excellent. 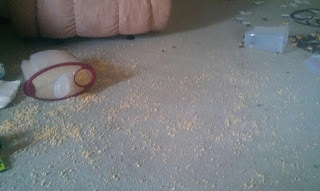 She’ll never be on time!” (insert maniacal toddler laughter). OK. So MAYBE that’s a bit dramatic, but it never fails that the moment we need to be out the door, something happens. 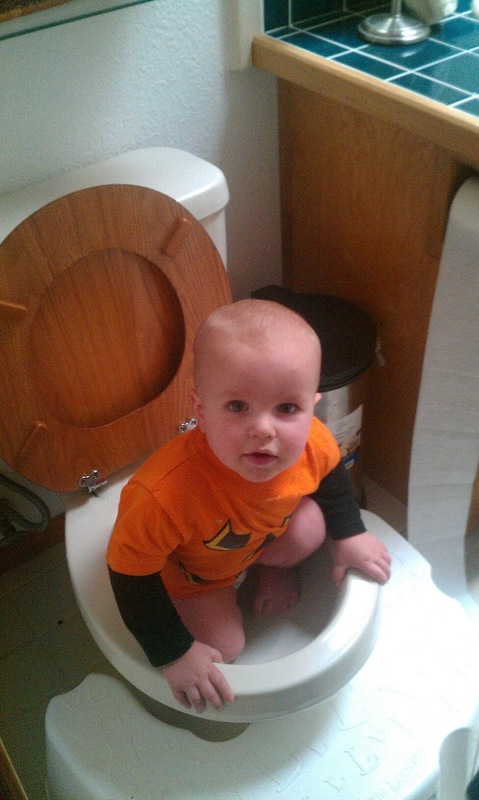 A diaper needs to be changed. We can only find one shoe. Someone has taken my wallet out of my purse (true story – I haven’t been able to find it for the last 3 days). Something comes up. 10. 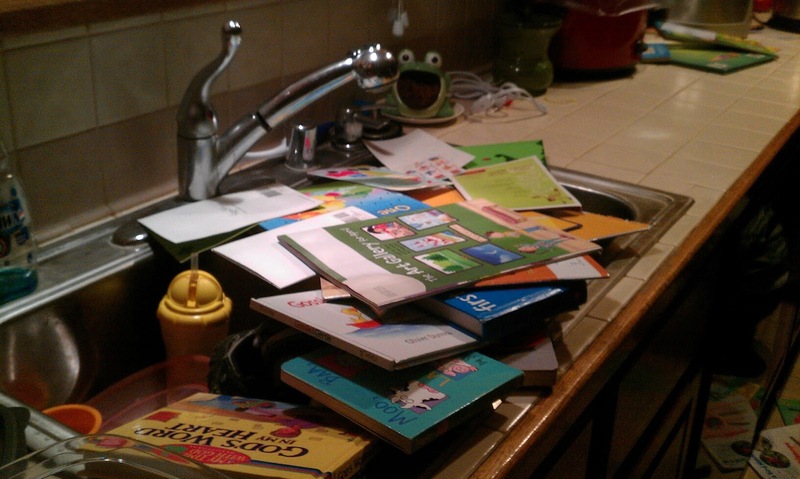 The sink is full of books. 9. The boys have helped themselves to the secret stash of chocolate I had hidden in my bedroom. 8. The cereal, which was stowed in the pantry, is now all over the living room floor because I forgot to lock the pantry door. 7. Someone has climbed in the toilet, splashed in the toilet, or put things inside the toilet. 5. 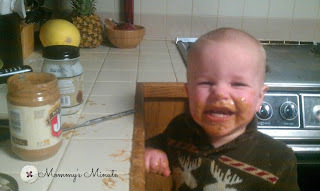 Someone decided they wanted some peanut butter (and mom forgot to put it away). 4. 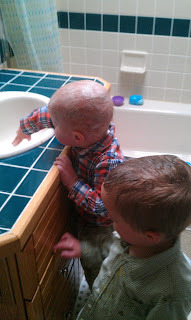 While in the bathroom “washing their hands” they decide they also should wash their hair by dumping half a bottle of shampoo on their heads and bodies. 3. 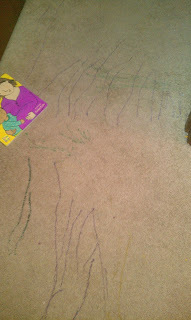 Someone colored on the carpet with markers. 2. 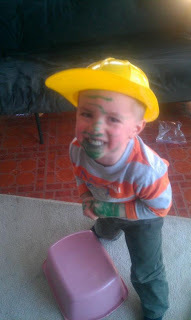 Someone decided that firemen need beards and mustaches . . .and apparently multiple uni-brows. (Don’t worry, marker privileges have officially been suspended). 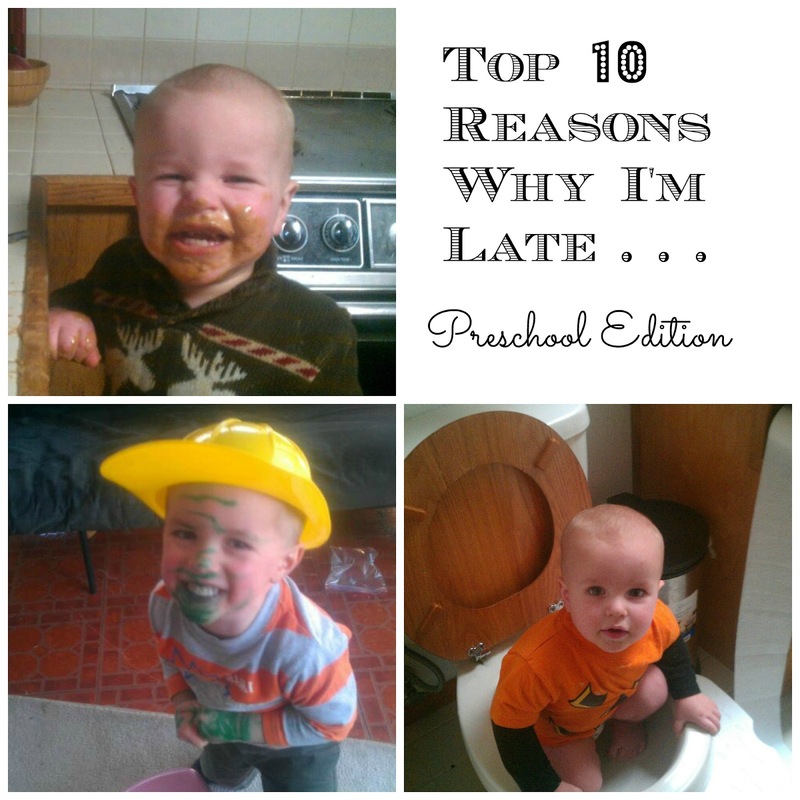 And the #1 reason I’m late. . . .
As a mom of 4 grown children I can now admit I always thought it was something I was doing wrong! Afterthought seems comical but in reality – wow! I love the way you put it out there for us. Great post, Thanks for sharing! LOL! That's great! I have 2 teenage boys now…I'm late for very different reasons, but loved the memory lane. Thanks! This was pretty awesome. My kid is 18 months and we're accumulating a collection of these types of pictures. It's gotten to the point where I just automatically take my cell phone with me whenever I hear something "suspicious." 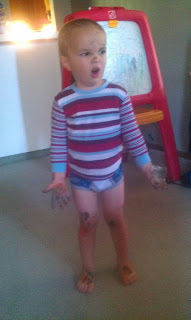 Sometimes it's just too crazy to be believed without photo-documentation, lol.